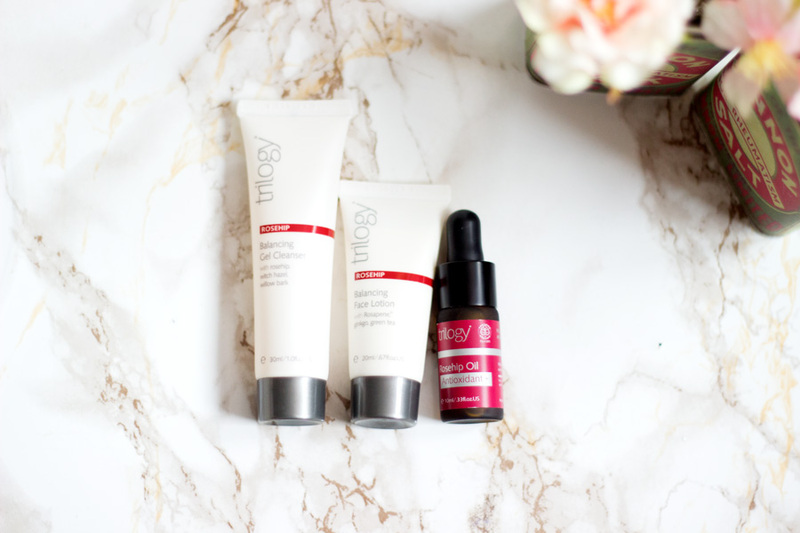 I am a huge fan of starter sets especially when it comes to skincare because they allow you test out a set of products and decide if they are for you or not without breaking the bank. 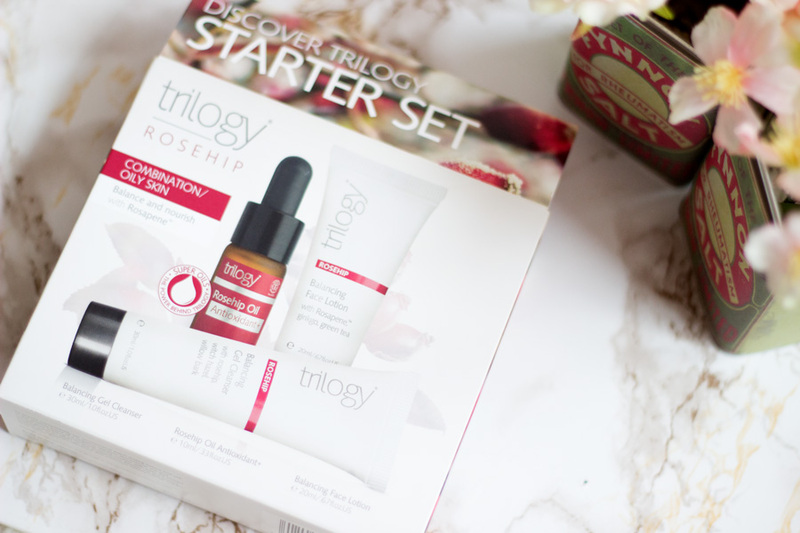 The lovely team at Beauty Expert kindly sent over this Discover Trilogy Rosehip Starter Set for Combination Oily Skin* for me to try out. I've had it for a few months now but I tested it mainly in June and it came with me on my trip to Nigeria. I find that any product(s) that stands the test of time and change in weather is an absolute winner and I can say this set has been amazing. I had my eyes on Trilogy Rosehip Oil for ages so you can imagine the thrill I got when I was asked to choose something from their range. Trilogy is a New Zealand brand which has become quite popular in over 20 countries including the UK. It is definitely one of the trusted brands when it comes to Rosehip Oil. Trilogy was founded by two New Zealand sisters- Sarah Gibbs and Catherine de Groot in 2002. 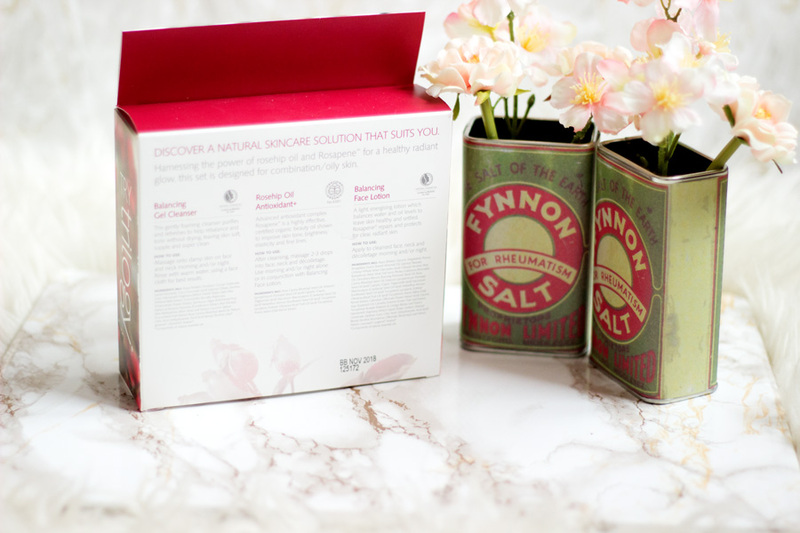 They discovered the powerful benefits of Rosehip Oil and created the brand Trilogy which essentially took natural skincare to another level. They use very high quality and organic certified ingredients across all their products which is refreshing to know. They started out developing a range of five Rosehip skincare products but now, they have crafted over 40 amazing products. 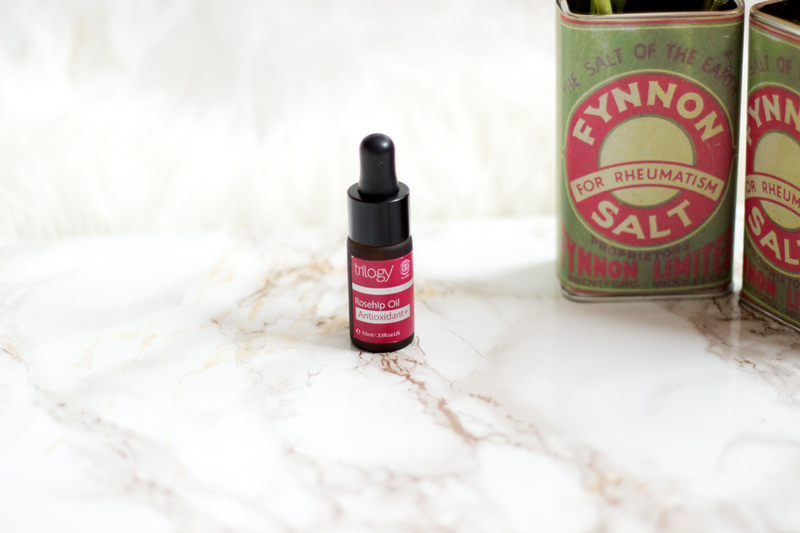 Apparently, a bottle of the Trilogy Rosehip Oil is sold every 22 seconds and Trilogy has been branded as New Zealand's No.1 Skincare brand. You can read all about their story here. Of course, I have to talk about the packaging which I really like because it is well made. The outer packaging has some good information on the products inside which I find handy. The actual products are also similar to the full size products. I love when brands make their starter sets, samples or deluxe samples with the same packaging as the full size. It makes you confident that you are using the real deal. I am actually very obsessed with the little Rosehip Oil Antioxidant which comes in the cutest bottle complete with a pipette/dropper!! I travelled with the entire set and I really appreciated how travel friendly they were. 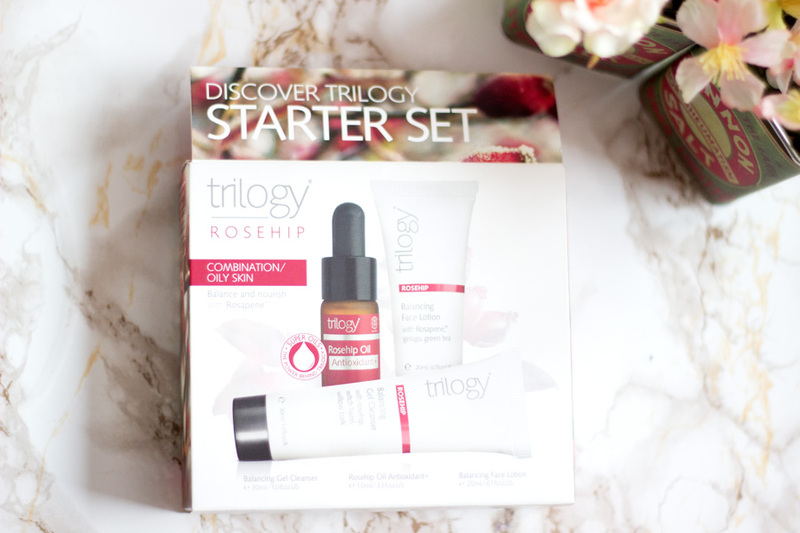 I received this amazing Trilogy Discover Starter Set- Rosehip for Combination/Oily skin. Inside the set you get the Balancing Gel Cleanser (30ml)*, Balancing Face Lotion (20ml)* and the Rosehip Oil Antioxidant (10ml)*. I think this set covers the very basics when it comes to testing out new skincare products because you get to cleanse your skin and moisturise with either the lotion or oil. I am a huge fan of gel cleansers because I feel they are the best texture for my combination/oily skin. They are effective at cleansing my skin without stripping it of its natural oils. I found that to be the same with the Trilogy Balancing Gel Cleanser. 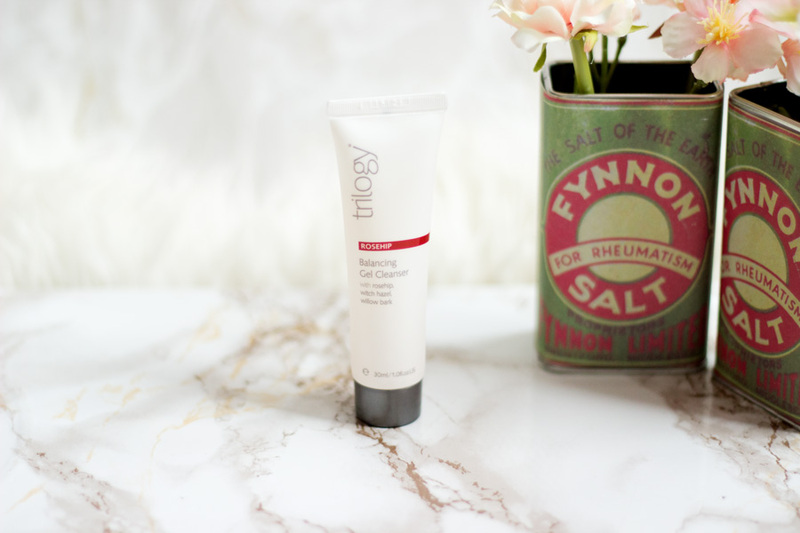 It comes in a gel form as the name suggests and applies evenly across my wet or damp face. I used it on its own and also with my beauty devices (FOREO Luna and Magnitone) and it worked well. I prefer to use it with my beauty devices because I feel it gives me better results. I use it mainly as my second cleanse. It has a somewhat comforting feeling on the skin while I am cleansing and even afterwards. My skin always feels cleans, soft and plump after I use it. While I was in Nigeria, I really enjoyed it even more with the warmer weather and my skin felt super clean as well. 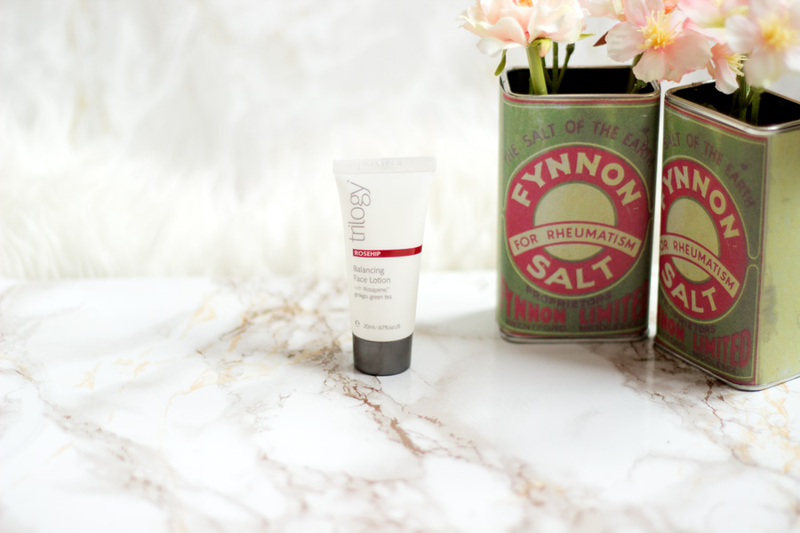 I used it both during the day and night because it was my favourite cleanser for that trip. I do have to mention that a little goes a long way so only a little amount is required to prevent waste. Although it is only 30ml, I still have loads left after two weeks of consistent use. It is enriched with Witch Hazel, Rosehip (of course) and Willow bark among other ingredients. 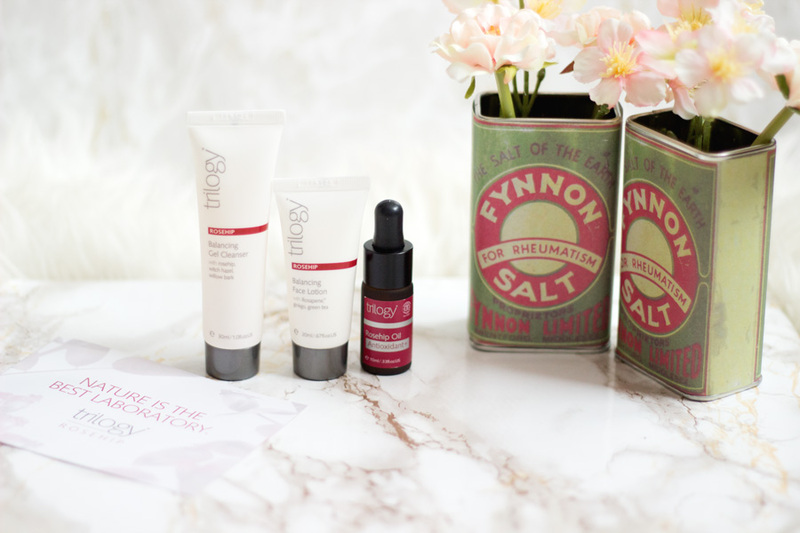 If you want to find out more about Rosehip and its skin benefits, head on over to this page. 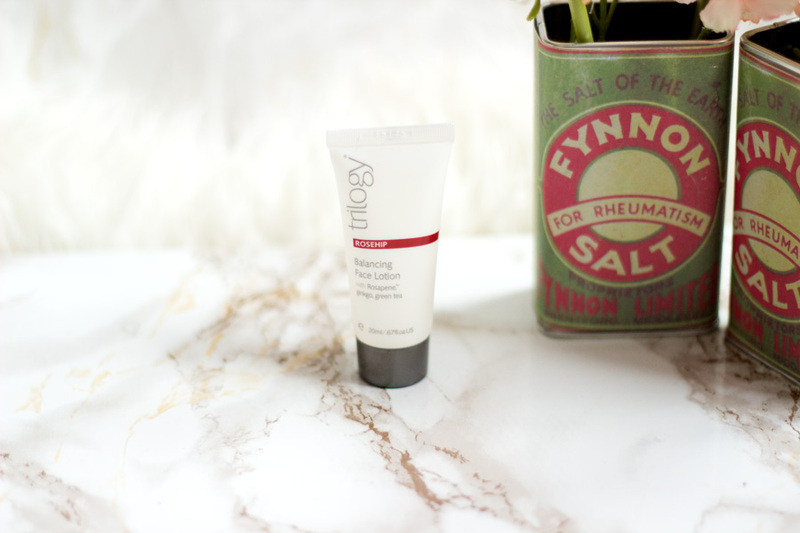 I was really keen to try out the Balancing Face Lotion as I love products that promise to hydrate my skin without feeling too heavy/greasy. The Balancing Face Lotion is enriched with a blend of Green tea, Ginkgo and Rosapene to provide optimum hydration for combination oily skin. True to its claims, it is quite a light weight formula which gets easily absorbed into the skin. Before I went on holiday, I tried it on a few occasions and liked it but didn't quite love it because I didn't think it provided me with as much hydration as I wanted. However, this all changed when I went to Nigeria for a few weeks. My combination/oily skin became slightly oilier as a result of the change in weather and I was reaching for this lotion because it was just what my skin loved. Surprisingly, I was satisfied with the level of hydration I was getting. I absolutely enjoyed using it then and even now. That's why it's always good to test out products long enough before writing them off. If you have combination/oily skin or strictly oily skin, you would love this lotion. I am a bit partial when it comes to oils especially if it has Rosehip so I already knew I'd love this dinky bottle. 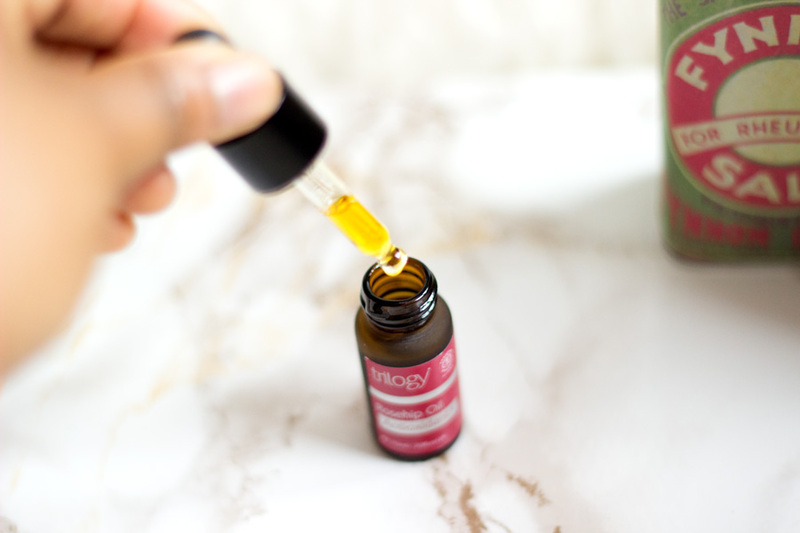 The Trilogy Rosehip Antioxidant Oil contains Rosapene which is trademarked to Trilogy I believe and it is designed to provide intense hydration and daily antioxidant protection. These qualities are right down my street!! 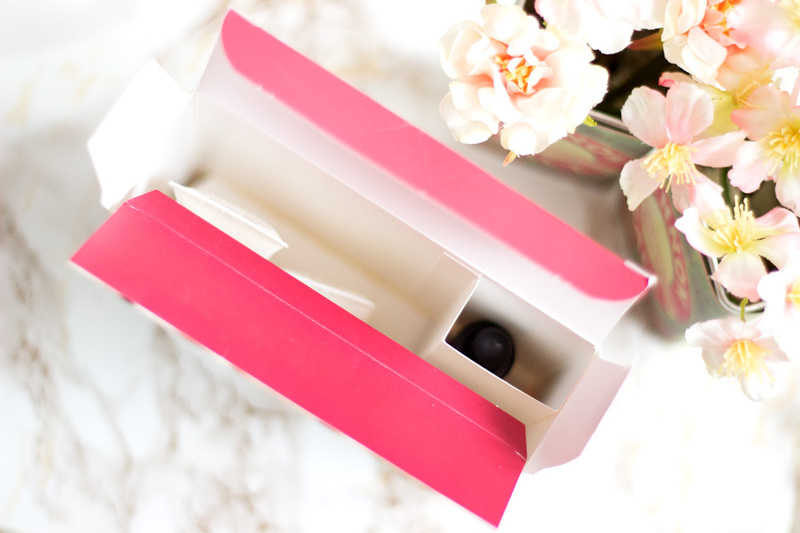 First off, I love the cute packaging (yes, I know I have said this before but it is really cute). The pipette/dropper makes it really easy to use especially as it's a small bottle and you would not want to waste it. It's a lightweight non-greasy oily which gets absorbed well into the skin. It gives a good glow as expected from a high quality oil but I do reserve it mainly for use at night. 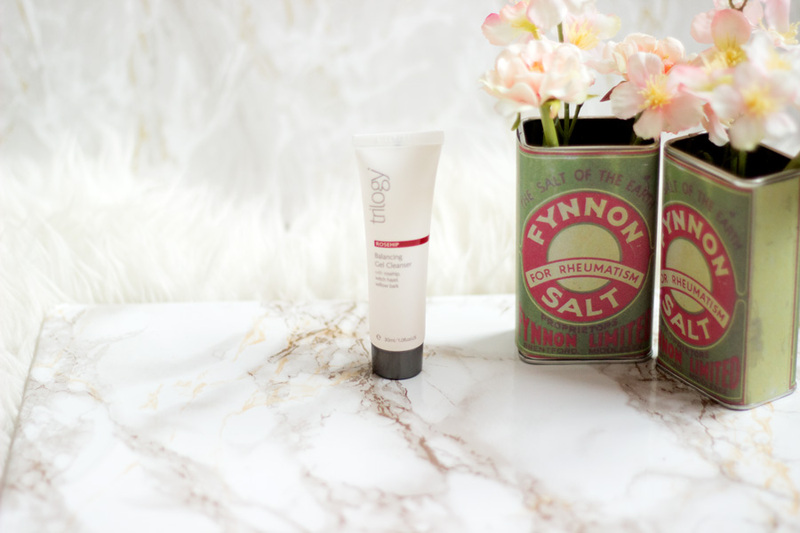 If you have dry skin, I am sure you won't mind using this in the morning to give you a healthy glow. Surprisingly, it was very comfortable to wear while I was in Nigeria despite the warm weather and I know my skin was better for it. I did not use it long enough to notice any difference in my hyper-pigmentation but from previous experience with oils, they appear to take a longer time to see improvements to dark spots compared to other formulas. I totally see myself repurchasing this oil when it runs out. For now, it will come with me for all my trips because I know it's an amazing treat for my skin. 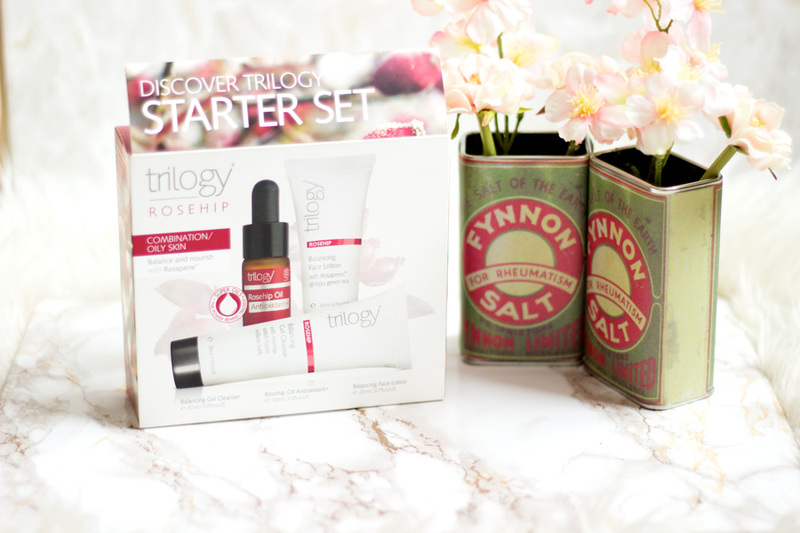 The Discover Trilogy Starter Set is sold on Beauty Expert website where they also have a selection of other lovely Trilogy products.You can also purchase it directly from the Trilogy website if you wish. I think for the price of what you get, it is such a good bargain. It should last at least a month and that’s the beauty of starter sets like this one. I also like that there are options for different kinds of skin types. I chose the combination/oily skin version but there is also one for normal/dry skin which I think is fantastic. That's pretty much my thoughts on the Discover Trilogy Set. 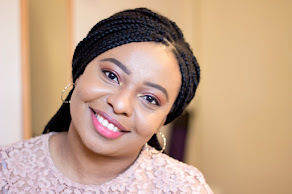 I really like this set and even more because it helped my skin a lot while I was away on holiday in Nigeria. For the price, I would definitely buy it for myself or as a gift to anyone I know who loves organic beauty products. I hope you enjoyed this post and I will catch you in my next post. 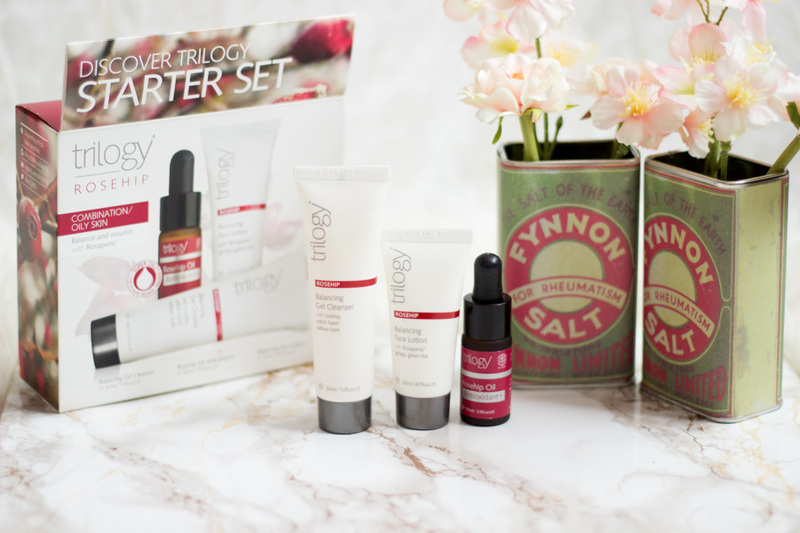 Have you tried any products from Trilogy?